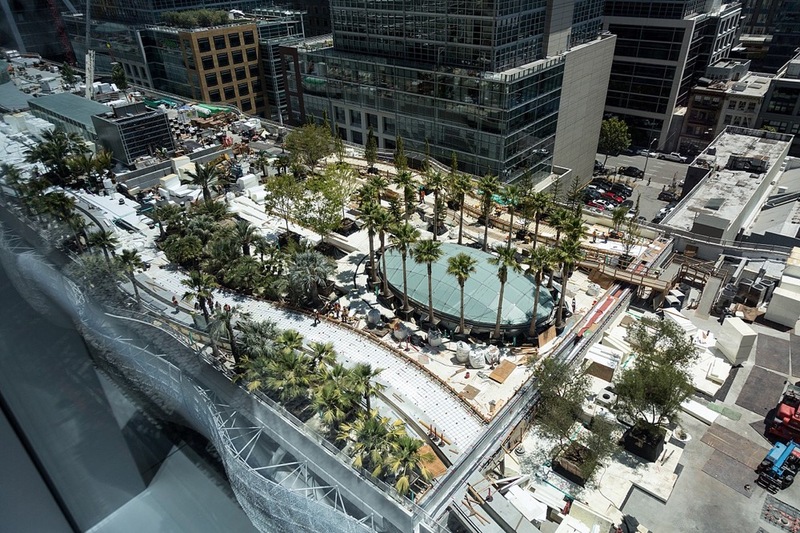 Late last week, Transbay Joint Powers Authority officials in San Francisco approved plans to repair a pair of fractured beams that were discovered at the now-shuttered Pelli Clarke Pelli Architects–designed Transbay Transit Center last fall. The plan calls for the installation of four sets of new steel reinforcing plates to shore up the failing members, The San Francisco Examiner reported. The peer-reviewed repair plans were approved in late December by the Metropolitan Transportation Commission (MTC), a transportation agency that works across the nine-county San Francisco Bay Area. MTC’s preliminary investigation concluded that the issues with the fissured beams were linked to the presence of welding access holes that had been cut into the beams to facilitate their installation. In all, four beams will be reinforced under the repair plan: the two fractured beams spanning over Fremont Street and a pair of corresponding but uncompromised beams located on the opposite side of the building. According to the report, the steel plates will be bolted together above and below the areas where the fractures occurred on each beam. A date for reopening the center has not been set, but authorities are at work on a construction schedule for the repairs. A further update to the plans will be presented to the board of the Transbay Joint Powers Authority later this week. The $2.2 billion transit center opened to much fanfare in August 2018 but closed just a few weeks after its debut because of the construction faults. The transit center spans three blocks and is capped by a 5.4-acre park designed by PWP Landscape Architects. Thornton Tomasetti is the design engineer for the project. The center has been closed for over 100 days and commuters have gone back to using a temporary bus depot that had been in operation during construction for their daily transportation needs.